In this Rewind Review we travel back to 2008, when the superhero movies really started to gain momentum with the likes of The Dark Knight and the beginning of the MCU. But there was another superhero film that came out the same year and tried to do something different. That movie was Hancock. 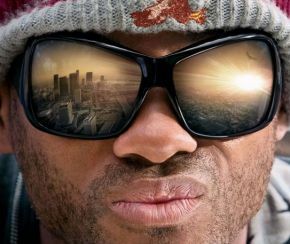 Directed by Peter Berg, Hancock is a movie that tells the story of Will Smith’s titular character. He’s a drunk with anger management issues and causes more problems than he solves. From a chance encounter, Jason Bateman’s Ray attempts to sober him up and help him become a hero. Will Smith stars as the boozy hero and there was no one better for the role. He brings the character to life really well and manages to display the unlikable side of the character while still being able to turn it around whenever the sympathetic elements start to take over. Jason Bateman stars as Ray, the man who makes it his mission to turn Hancock’s life around and get people to like him. He’s a really positive character and a great addition to the cast and provides a really human element to the plot. Atomic Blonde and Mad Max: Fury Road star, Charlize Theron, stars as Ray’s wife, Mary. For the first part of the movie, she doesn’t really have much to do apart from be against the idea to help Hancock. However, without getting into spoilers, the character changes significantly towards the second half and she becomes a much more interesting character. She’s a good choice for the role and plays both sides really well. In true superhero fashion, Hancock makes an archenemy of Eddie Marsan’s Kenneth “Red” Parker, who starts out as a simple bank robber until an encounter with Hancock. He’s a good character portrayed well, but isn’t as memorable as the other characters. The story, written by Vincent Ngo in 1996 and later rewrote by Breaking Bad and Better Call Saul creator Vince Gilligan, is an interesting character study about Hancock and how the people around him perceive him. Though the film was initially much darker and grown-up in earlier edits and scripts, the movie balances the serious story with some very funny comedy. It doesn’t keep the darkness away for too long though, as the final act becomes very gritty and violent compared to the light-hearted nature earlier, which may be a put off for some and nearly pushes the film past its 12A/PG-13 certificate. With the plot surrounding an alcoholic trying to become better, it seems like an odd choice to steer the film towards a comedy, but it works really well and does provide some good laughs. There’s a great running joke of Hancock being called a specific name, a great sequence set inside a prison, and Hancock’s attempt to become a real superhero, right down to the slightly tight outfit. With the movie coming out in 2008, the effects hold up pretty well and interact with the live surroundings really well. Sometimes the main effects can become a little overwhelming and begin to look artificial, they could have done with maybe a little longer to be polished up, but other than that, they look fine, especially Hancock’s flight across the city. The film looks great and everything onscreen is utilised really well, the only gripe is the saturation. Though nowhere near as overpowering as something from Michael Bay’s Transformers franchise, it still looks a little strange. The musical score is created by The Bourne Identity’s John Powell. While not as memorable as many other superhero films, it does have some pretty powerful moments that highlight the emotions, as well as the lighter and comedic moments. The choice of songs is pretty good too, making the soundtrack unique to many others. Overall, it’s a good film that doesn’t quite reach its full potential. The characters are well thought out and are performed brilliantly. Being released before the superhero boom really took off, this didn’t fare as well as it could have today. It really is a good film that deserves a look. Purple Revolver rating: 4/5. Good job!